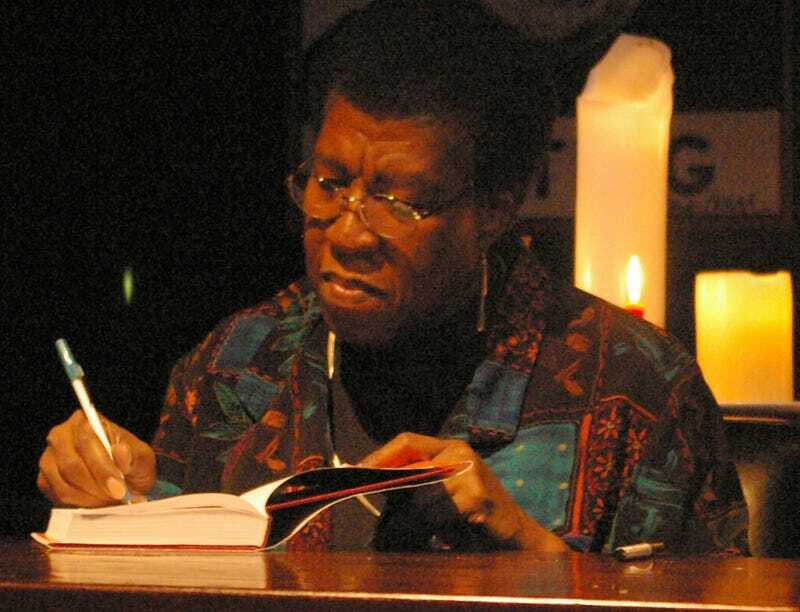 Octavia E. Butler died 10 years ago, but the power of her work and her inspiring life story haven’t dimmed one bit. Los Angeles arts nonprofit Clockshop has organized a yearlong series honoring the Pasadena native, “Radio Imagination,” with works created by artists and writers given full access to Butler’s archives. Radio Imagination artists and writers will conduct first-hand research in Butler’s archive at the Huntington Library and create new work based on their research. New poetry and creative nonfiction by Tisa Bryant, Lynell George, Robin Coste Lewis, and Fred Moten will premiere at a public reading event. New contemporary artworks byLaylah Ali, Courtesy the Artists (Malik Gaines and Alexandro Segade), Mendi + Keith Obadike, Connie Samaras, and Cauleen Smith will be presented at an exhibition at Armory Center for the Arts (October 1, 2016–January 7, 2017). Events begin with a kick-off party on February 27, and you can check out a full calendar right here. Top image: Released under the Creative Commons “Attribution Share-Alike” 2.5 License by Nikolas Coukouma.